Twenty years ago, Brandon Taylor was thought to be just another teen boy who ended his life too soon. That's what almost everyone in Tibbehah County, Mississippi, said after his body and hunting rifle were found in the Big Woods. Now two New York-based reporters show up asking Sheriff Quinn Colson questions about the Taylor case. What happened to the evidence? Where are the missing files? Who really killed Brandon? Quinn wants to help. After all, his wife Maggie was a close friend of Brandon Taylor. But Quinn was just a kid himself in 1997, and these days he's got more on his plate than twenty-year-old suspicious death. He's trying to shut down the criminal syndicate that's had a stranglehold on Tibbehah for years, trafficking drugs, stolen goods, and young women through the MidSouth. Truck stop madam Fannie Hathcock runs most of that action, and has her eyes on taking over the whole show. And then there's Senator Jimmy Vardaman, who's cut out the old political establishment riding the Syndicate's money and power--plus a hefty helping of racism and ignorance--straight to the governor's office. If he manages to get elected, the Syndicate will be untouchable. Tibbehah will be lawless. 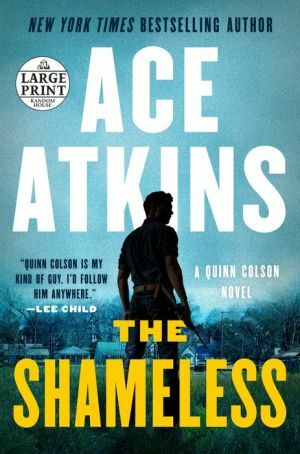 Quinn's been fighting evil and corruption since he was a kid, at home or as a U.S. Army Ranger in Afghanistan and Iraq. This time, evil may win out.